I have been to about 90% of Asia and there’s one things that hold constant among all Asian countries; population density. There are so many people in Asia, it’s mind boggling. This population density contributes to why Asians aren’t as protective of their personal space as westerners, and they don’t like to queue. However when arriving in Mongolia I was stunned at the emptiness. The country of Mongolia has the lowest population density in the world. I had never experience emptiness like this before. We’d drive for 100km in the desert and you wouldn’t see another human being; nor a truck or car or motorcycle. However, we were never really alone as we were surrounded by the animals; camels, horses, goats, sheep, and yaks. We’d see packs of random camels grazing in the seemingly barren desert. I honestly have no idea what they were grazing on! No Sand in the Desert? When you think of the desert, you think of sand – right? 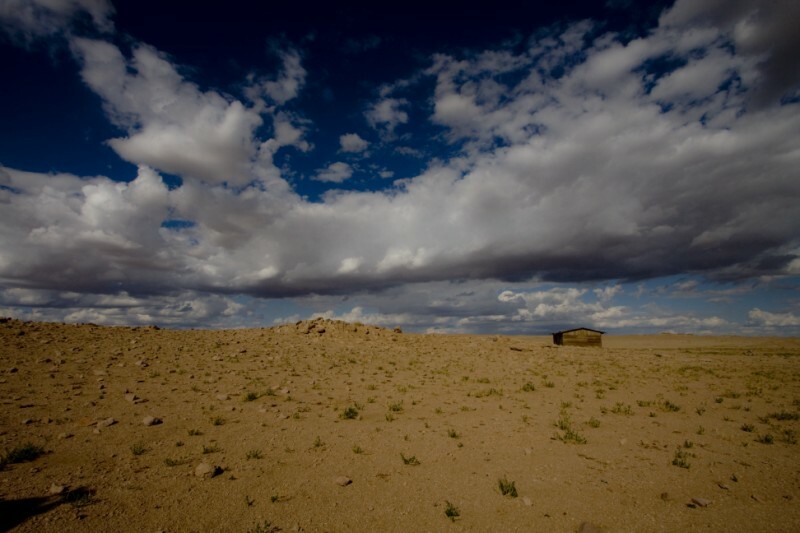 Not so fast, the Gobi isn’t a sandy desert. In fact, in my 12 days there, I saw very little sand (even though my camera sensor would say otherwise evidenced by all the dust particles on my photos that I had to edit!) Instead there were boulders, rocks, pebbles and dirt.